This Winter has been all over the place. It can be annoying when you are unsure of what to wear. It could be wet, rainy, or even both. 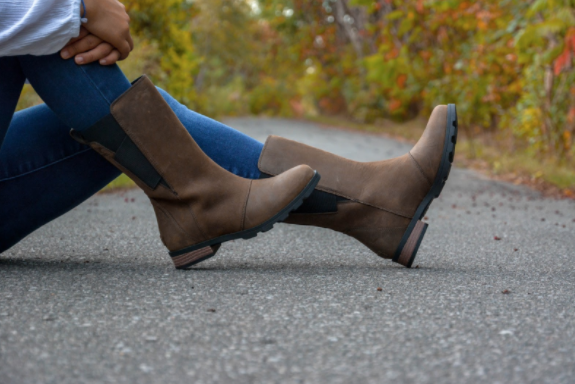 There is no better way to brave the cold weather than with a warm pair of rain boots or winter boots. As the temperature drops, everyone whips out their colourful flannels and comfy sweaters. Mornings in general are a struggle and it is even a hassle to decide what to wear for the whole day. But one thing that we can count on is SOREL’s waterproof boots because they will keep your feet dry and warm; essentials for fighting cold weather. SOREL have a bunch of great boots for the fall and winter season. Many of them are waterproof constructed and have a great insole for people that walk and stand for a long period of time. It’s a good investment especially if you commute to school, work or you just want to look nifty. 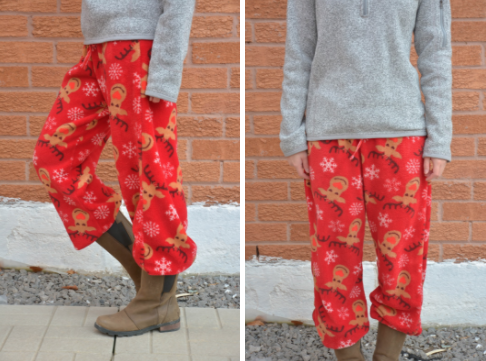 I tried creating five different outfits with some different SORELs, and here’s what I came up with! The first outfit is a simple going-out style. The long white sleeve with flowery patterns on the arm and chest are paired with blue jeans and Emelie Mid Boot. It’s the perfect fall footwear because the waterproof full leather and synthetic lining provides dry feet during the rainy autumn season. The Emelie Mid Boot comes in four colours: elk, major black, black and redwood black. The boot fits slightly small so you might want to buy a size bigger than what you normally wear. The second fall season outfit is a fancy casual style. A long white sleeve with a black jean skirt with the Dacie Bootie is a great for going out for a dinner with friends to catch up with life. The Dacie Bootie is very versatile because no matter what you wear, you will look amazing with this heeled boot on. The insole of this bootie is very soft and easy to walk on — you can say that you’re walking on a cushion. The third outfit is the Classic Canadian outfit. 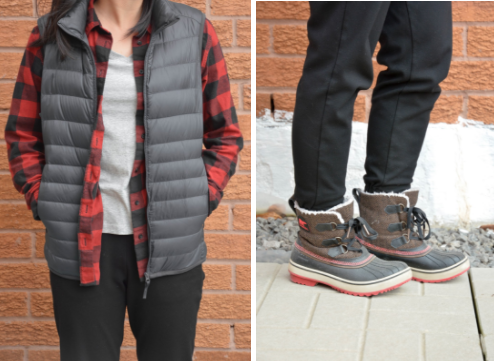 Embracing the Canadian inside of us, rocking out the red flannel, gray vest and snow boots remind us of the cottage and camping feels. The Tivoli boot is a perfect snow boot you can play around in the snow. This snow boot is comfy and cozy with fleece lining inside, making this so winter essential. This is something you should not miss out on, but when buying this, make sure you get a size bigger so that it won’t be too snug with your thick socks on. The fourth outfit is the lazy day outfit. Exam season leaves us tired from round the clock studying. Why not just sit back and throw on some fleecy pants while you’re at it? This outfit kills two birds with one stone. You sleep in it, wake up and go do whatever you need to do to conquer the day. The fifth outfit is the going out outfit. After a long week of studying and working, I think you can treat yourself to go out and enjoy your weekends. This bootie will match anything for your day-into-night style. It also has you covered with the wet and rainy weather because it repels water. To add on, SOREL will keep you confident and chic, ready to take on anything that comes your way. Happy winter break everyone! Here’s hoping you stay cozy, warm, and get rested after working so hard this semester.